Image size reduced, original size: 1101 x 1425. Click here to view the image in its original dimension. also before anyone ask. yes our mechanics are fixing the machines to get them ready for the event. you might have already noticed that one of the A seat sides steering is a 100 times better now. Round 1 is at where? 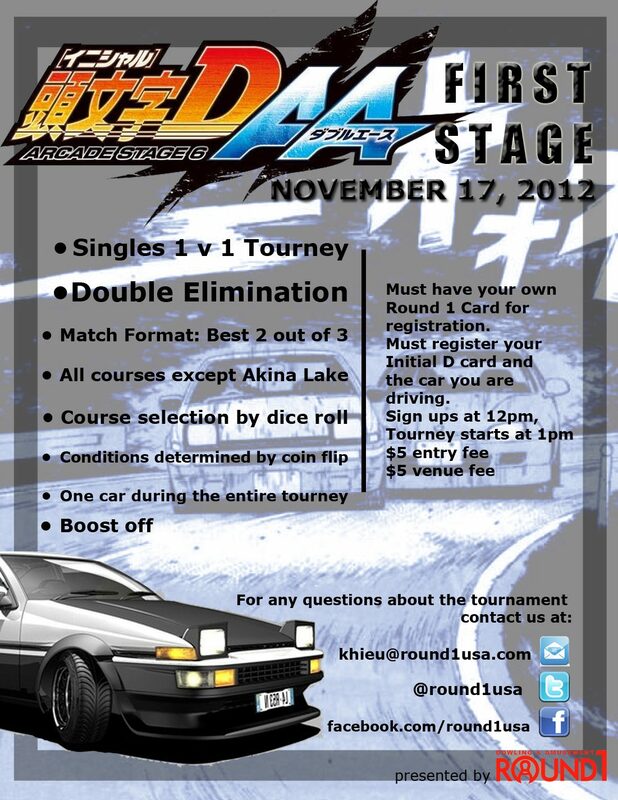 Round 1 in puente hills mall is in southern california in the US. Shoot, I have work that day. But are there any recent updates on this tournament? I think I might know some interested people who would love to know more about it. any questions i'll be able to help out with those as well. also try to swtich with someone if you can at your job. i'd like to see as many ppl as possible. I'll probably come by to spectate and take pictures. As far as competing goes that'll be a next time. The poster answers most of the questions I had then. There's no way I can switch with anyone at work since everyone at work is already signed on shift. We're going to be so busy it's going to be ridiculous, anyway I have no ride from Riverside to the Puente Hills Mall and I don't play. I just don't see much point in spectating if it's going to be this much trouble you know? I mean, if it was in the other Round 1 that just opened in Moreno Valley, then maybe I could hitch a ride with someone who would be driving out from the OC, but then again I would be only spectating. I'm sure you're going to see a few members from IDW there anyway, just don't be shy and talk to the other people there. Orisue, you better take a bunch of pictures and start training for the next tournament! just a few days away from showtime... mechanic updates.